Past Projects | Send Pitt Club Tennis to Arizona! Send Pitt Club Tennis to Arizona! 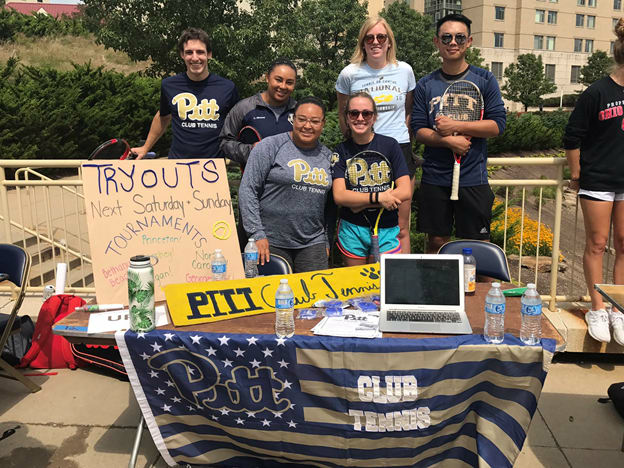 Although their campaign has concluded, if you would still like to make a donation to support Pitt Club Tennis, you may always do so here. Pitt Club Tennis was founded in 2006, marking this September as the 12th anniversary of our organization. Our 30 member co-ed team enjoys practicing several days a week all year round at The Club Sport & Health Tennis Club in Monroeville. In both the fall and spring semesters our team competes in USTA Tennis on Campus tournaments all over the East coast (and primarily in the Middle States Section). In the past year, our team has competed at some of Tennis on Campus’ biggest tournaments, including Battle of the Sections (Bethany Beach, DE) and Fall Invitational (Hilton Head Island, SC). Additionally, we went to Michigan State B1G Showdown, and competed at our own Pitt Panther Open, hosting the top teams in the region. Most importantly. we qualified for the Tennis on Campus Spring Invitational! This year, the 2018 Tennis on Campus Spring Invitational is being played in Surprise, Arizona from March 23-25th. Forty-eight teams from across the country will travel to compete at the Surprise Tennis and Racquet Complex. At this tournament, we get the opportunity to play against many teams from around the country, including Stanford University, Northwestern University, Purdue University, University of Arizona, University of Oregon, University of Southern California, and many more! As anyone on the 2017 nationals team will attest, attending the TOC championships or any travel tournament is a unique and unbelievable experience. We were able to meet new people, play competitive tennis, and most importantly, have loads of fun! We would love nothing more than to do it again. Although we truly need as much support as possible to be able to travel to Surprise, we have done our fair share of fundraising as team throughout the academic year. We had the opportunity to hold our second annual Pitt Panther Open that brought teams such as Penn State, Notre Dame, Rowan, St. Joseph, and Villanova! We have also fund-raised by teaming with local restaurants in Pittsburgh, as well as hosting events such as Dodgeball tournaments and Basketball tournaments. These fundraisers (in addition to team dues) have brought in enough money to finance most of our regular season expenses. We are now looking to fundraise for our largest expense to date, Spring Invitational, in Surprise, Az. Any funds we raise in excess of our goal will go towards general season costs such as court time, tennis balls, etc. 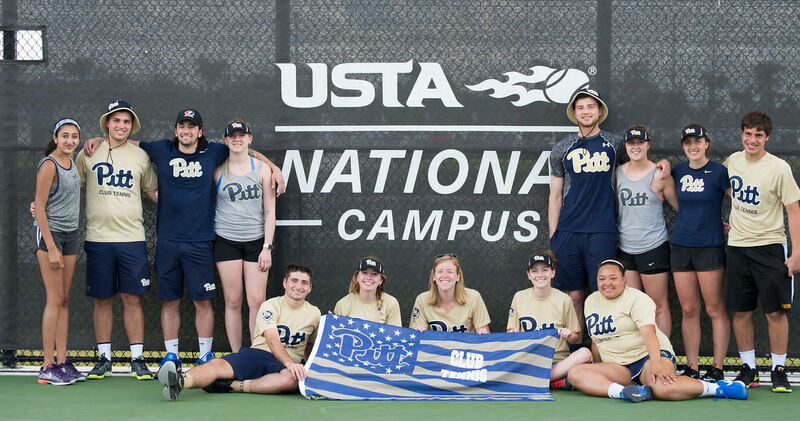 Our team is excited to represent the University of Pittsburgh this year in the Tennis on Campus Spring Invitational. Any amount of help to reach this goal is very much appreciated. Together we can show everyone what Pitt is made of! Hail to Pitt! Thank you so much! This donation is equivalent to the tournament entry fee for one player. This contribution can cover the cost of one day of transportation at nationals for one car! Thank you! Your donation will cover the registration of the entire team. We appreciate your contribution! Your donation will pay for the registration for the entire team as well as the cost for team uniforms. We are extremely grateful for your philanthropy; thank you! We appreciate your supreme generosity! With this donation, we can afford to pay for half of the team’s transportation fees to make it down to Arizona for nationals! This contribution will almost entirely cover lodging for an entire 10-person roster for the whole tournament weekend! Thank you for your generous donation, we appreciate it! WOW. This donation will pay for an entire team’s registration, lodging, transportation, and uniforms! We don’t know how to thank you, but we appreciate your generosity to our team!